I have always described Japan as a country of perfection, from manners to dedication. Visiting Tokyo for the third time, I was not surprised to encounter extraordinary hospitality and a sacred-like coffee preparation. While quality was exceptional in most of the cafes, I was rather deeply moved by the creativity and the design of some coffee shops I came across. Whereas coffee quality is the top priority, cafes in Tokyo go one step further to improve customers’ experience. Japanese minimalistic architecture mixed with Western influences inspired designers and coffee lovers to transform industrial and residential space into impressive designs. 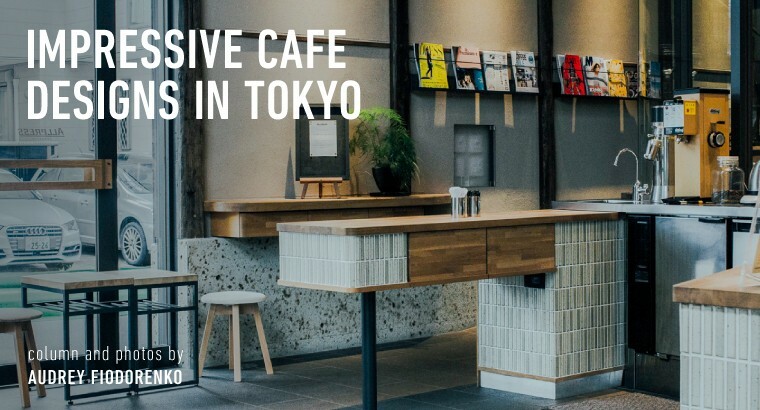 This time I focus on eye-catching café designs in Tokyo. Here’s the top five. Hidden one station away from Shimokitazawa, a commercial and entertainment district in Setagaya, Ki Café invites Tokyoites to run away from the crowd to a mesmerizing white forest. Ki Café is a true fusion of modernism and minimalism somewhere in between zen philosophy and urban city. No surprise that this little coffee shop has made to top 10 best designed cafes in the world, according to Design Curial. At the entrance, you will be asked to take off your shoes as if you enter someone’s home. There is no music in the background. No excessive details either. The seating is divided the way that a customer would not disturb each other, even if they sit side by side on the big table in the middle of the room. In this simple, pure space a guest can savour his coffee and let his mind flow in tranquility. The minimalism culture that had been nurtured in Japan since ancient times has adapted modern influences that can be clearly visible in Ki Café. Coutume has been contributing to specialty coffee boom in Paris since 2011 and in 2014 the team has decided to conquer Tokyo with its light roasts, as well as the sleek design. The interior could be mistaken for a mad coffee experimenting laboratory as clean white look creates a strict, yet interactive atmosphere. Parisian studio CUT Architectures, which also designed the original Coutume Cafe in Paris, created Café Coutume Aoyama a two-sided space, café as a social hub and a coffee lab. The design and a row of sophisticated coffee gear reflect their goals. The space of Aoyama’s branch gives the impression of Coutume being serious about the coffee they are extracting. Parisian team ignores Tokyoites’ dark roast preferences and presents their light blends in either filter or espresso. American coffee chain came to Tokyo with a big ‘boom’ last year, attracting unprecedented crowds to a single coffee shop. It is hard to find a time slot when it gets at least half empty, therefore, observing the whole beauty of Blue Bottle’s café’s design becomes seemingly impossible task. The branch in Kiyosumi-Shirakawa has especially drawn my attention to its modern and rough-style interpretation of coffee space. Shemata Architects have managed to transform a former storage building into a roastery, cafe, barista training room and pastry factory. The main advantage of this space is complete transparency. Large windows and glass walls allow baristas, roasters and customers to observe each other and interact with no boundaries. In that sense, Blue Bottle focuses not only on the final product, coffee in your cup, but the whole process, from the arrival of green beans to the extraction of coffee. It happened that Allpress joined Tokyo coffee scene at the same time in the same place as Blue Bottle Coffee. But the head barista Peter assures me that it is a pure coincidence. The owners of Allpress had an eye on the current premises for about four years before opening, when Kiyosumi-Shirakawa was still nothing but a local district. 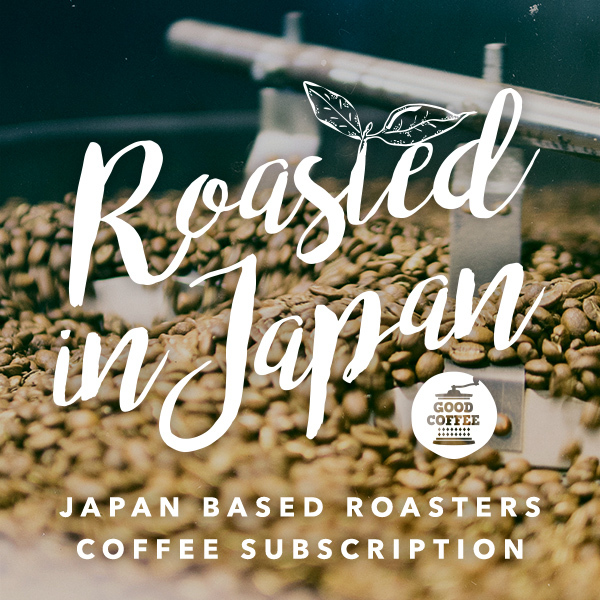 Before launching a new venture in Japan, the famous New Zealand’s roaster had featured in a few coffee shops, such as Iki Espresso, but it was relatively unknown to most of the Tokyoites. Once basic warehouse, Allpress managed to create a contemporary café with a combination of timber and glass. Customers can observe a roasting process, as well as cross floor-to-ceiling windows in order to take a closer look. The impressive design of Allpress Tokyo did not receive deserved attention in the foreign media but it is undoubtedly one of the state-of-the-art architectural inspirations. The café is hidden in a trendy neighborhood of Omotesando inhabited by Tokyo’s creative population. While cafes mentioned above are influenced by modernism, Café Kitsuné demonstrates how traditional Japanese culture can be integrated in a coffee shop. The cafe features a Japanese-style interior, with cedar flooring, wooden counter, tatami, made by a 70-year old studio in Shimbashi and wallpapers with traditional prints. Café Kitsuné team considered all small details to make the space unique, such as brewing stand, which is made from natural woods and finished off with traditional Japanese painting technique. Even before you slide fusuma to enter Kitsuné, you can see a barista through a window, seriously mastering his pour-over brewing technique. A professional and sophisticated barista in white shirt compliments the space, adding elegance to the coffee shop. In between the interior’s traditional furnitures, the coffee bar also nicely contrasts with the modern shapes of Kitsuné Tee clothing. Audrey Fiodorenko is a lifestyle blogger and a journalist with a quest for a perfect cup of coffee and unique atmosphere. You can usually find her in London and Japan or somewhere in between.